[Free Pattern] Yoga Lover? These Socks Are Perfect! toy basket is just perfect for storing all your little one’s favourite toys and games. Kitty Toy Basket designed by Heather Lodinksy is very pretty looking, not over big but perfect for a little toddler’s bedroom. This adorable crochet basket keeps all the toys away and saves a lot of time cleaning up after the kids. 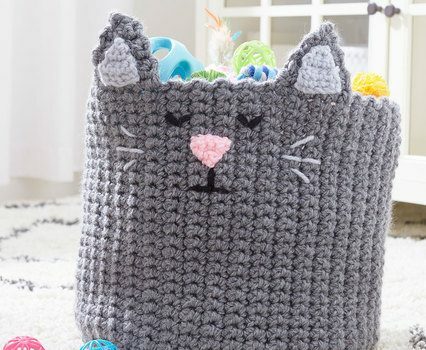 Any kid will be over the moon with this cute kitty crochet basket! 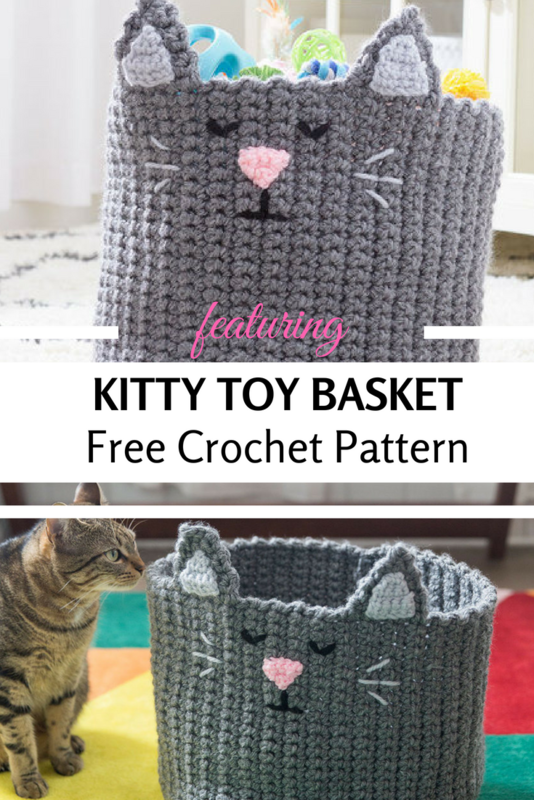 Check out the original source for this Kitty Crochet Basket For Toys Free Pattern with all the directions and full written pattern at: Red Heart. Thanks to Heather Lodinksy for the article inspiration and featured image.